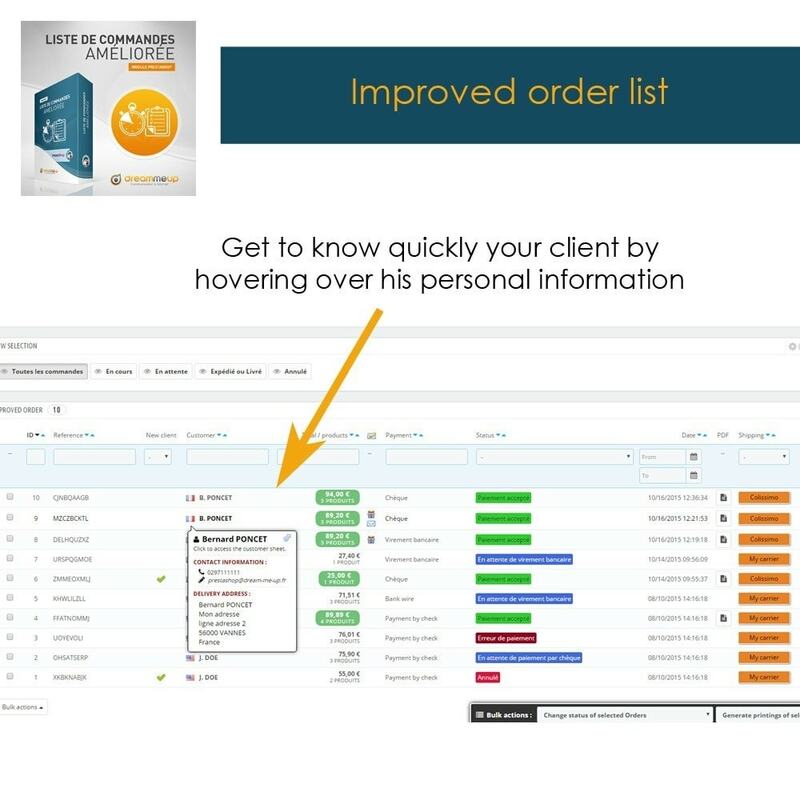 Save time on the processing of your orders! Avoid having to enter each order one after the other to get all the details. 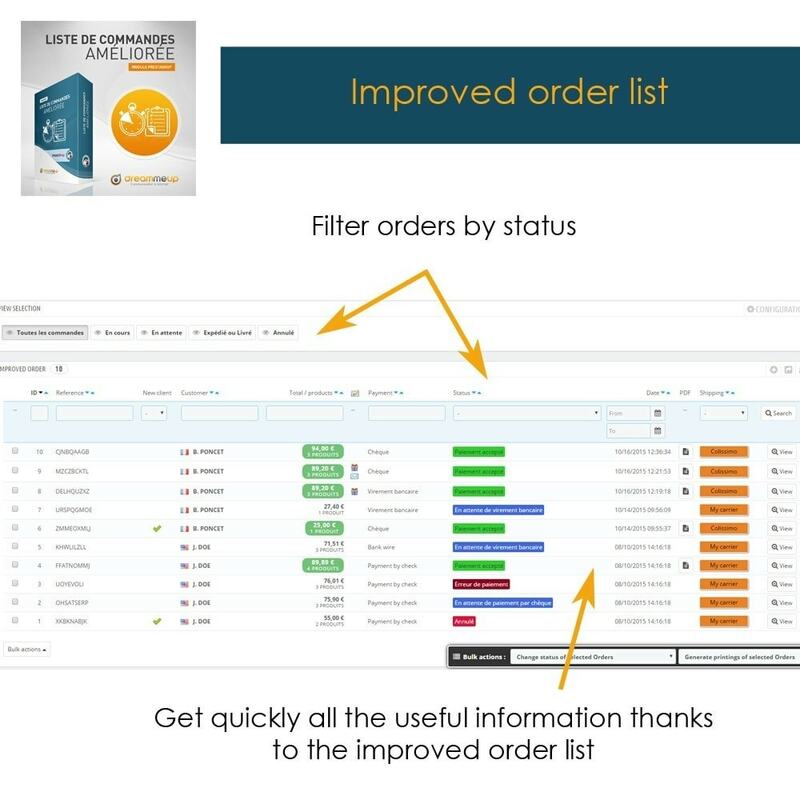 This module lets you know everything from your order list. 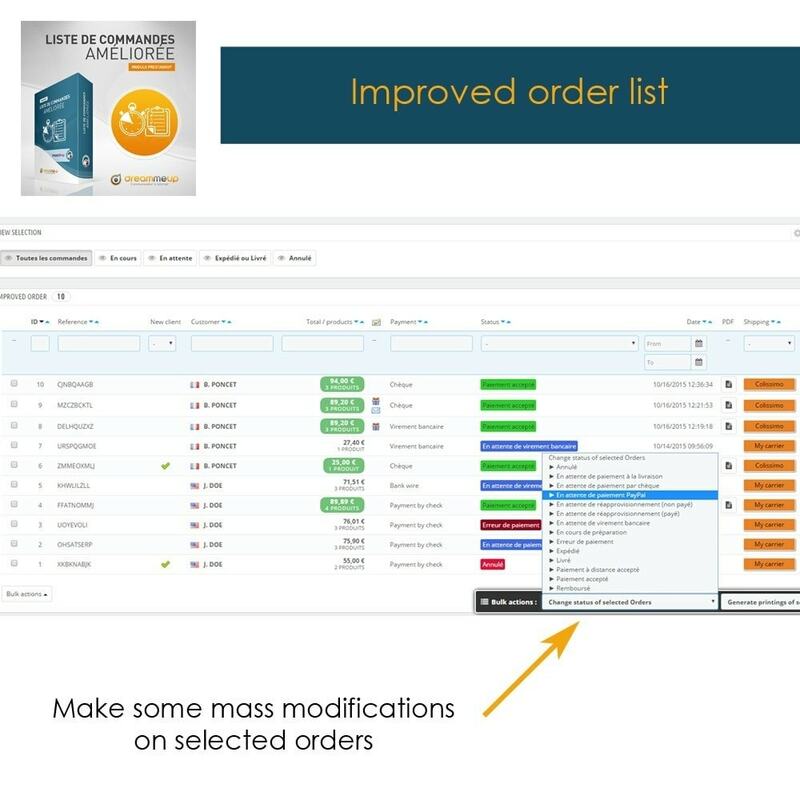 The more orders you have to process, the more this module will save you time. 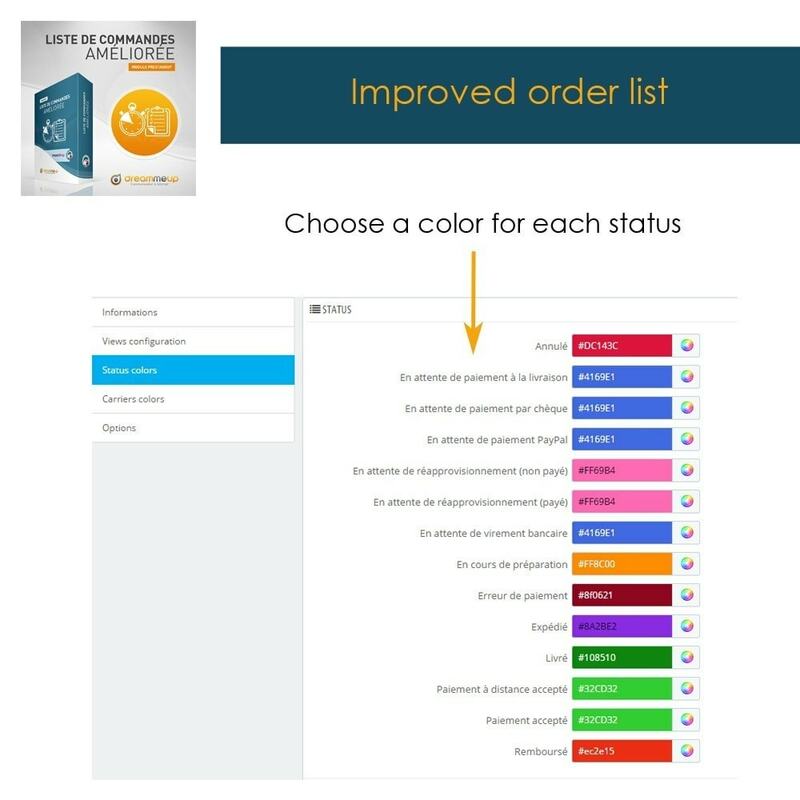 As much by the fact that all information is available from the order list and because you will be able to change status in mass with this module. 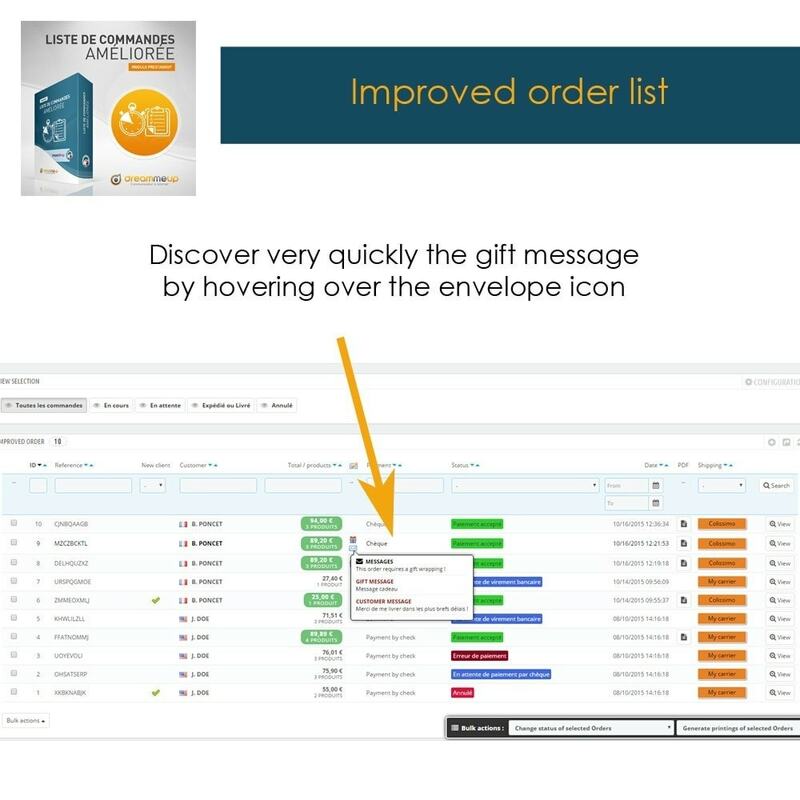 New icons are available to determine if the client has selected a gift paper or has sent a message with the order. An overview of these new icons allows you to read the messages. 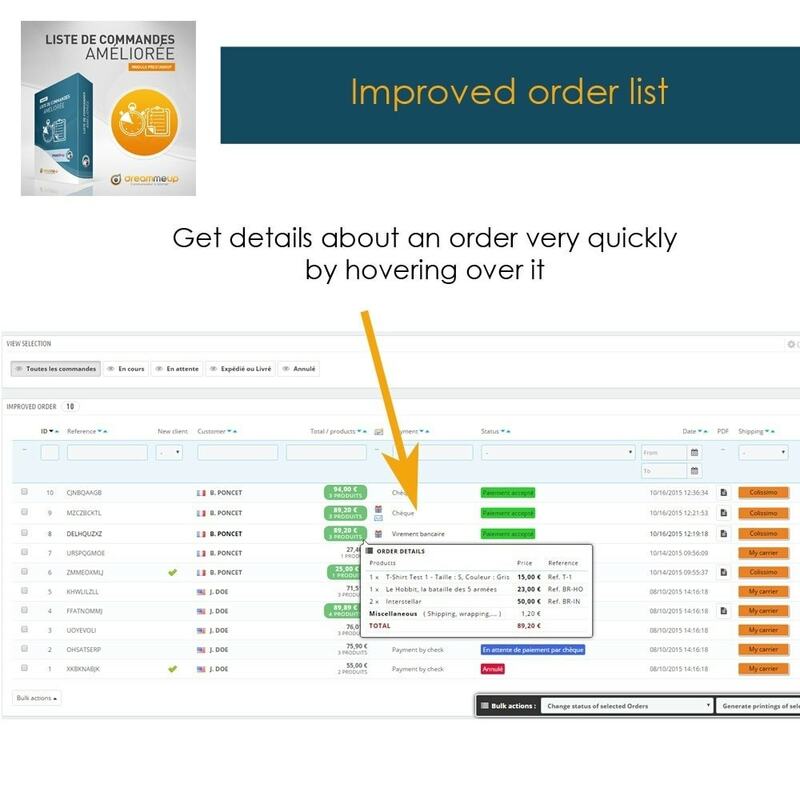 Still stuck at the bottom of your screen, a bar allows you to change order status in mass and print invoices or delivery slip of the selected orders. 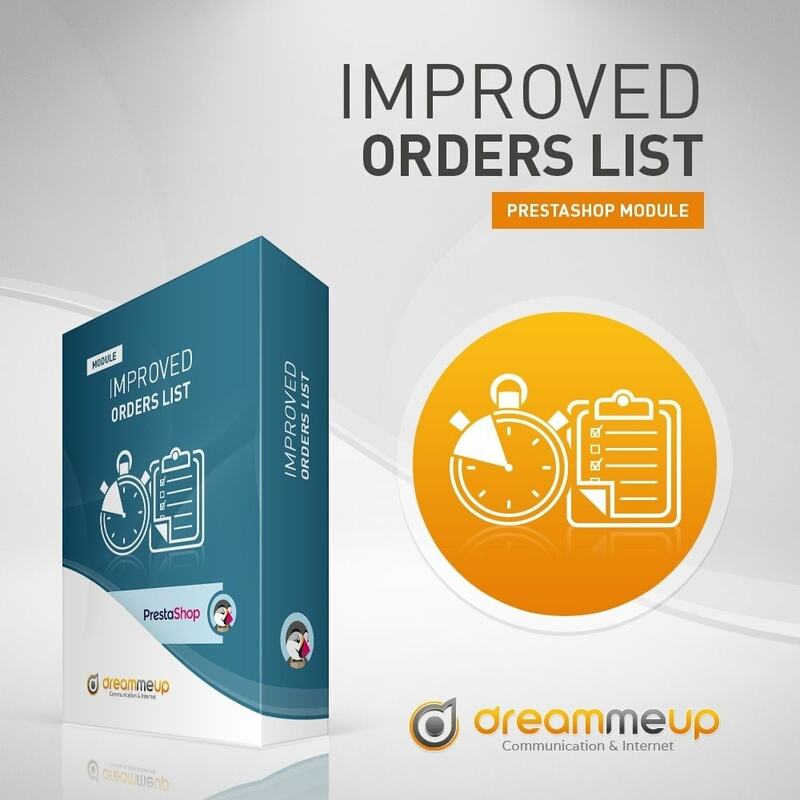 The module replaces your usual list of orders in the tab "Orders"